Pittwater Hearing is an independent, Audiologist owned clinic based in Avalon. We offer expert audiology services to adults and children all over the Northern Beaches. We provide a full range of hearing aids from all manufacturers. We are happy to service and fine tune hearing aids you have purchased elsewhere. Hearing aid recommendations are based on your individual needs,and features in hearing aids that have been proven to be benefiticial by independent research, as well as clinical experience. Emma van Wanrooy is an Audiologist with 21 years of experience working across a broad range of areas in Audiology. She has a Masters of Audiology from Macquarie University. Emma has worked with some of Australia’s largest organisations including Australian Hearing, and the Sydney Cochlear Implant Centre where she has worked alongside some of the leaders in this field. She has also worked with the internationally renowned National Acoustic Laboratories where she was involved in research into hearing aid fitting, bimodal hearing (cochlear implant and hearing aid worn together), and speech and language outcomes for children with hearing loss. Emma has specialised in hearing assessment and habilitation for children and adults, including hearing aids and cochlear implants. Emma has always enjoyed exploring new frontiers in Audiology. Key areas of expertise for Emma are devices for single sided deafness (unilateral hearing loss) and providing services to clients remotely (tele audiology). She has presented papers workshops at national and international conferences on topics including tele audiology (remote delivery of services via telemedicine) and bimodal fitting. As a result of her experience, Emma is a strong believer in the benefits of a high level of after care service for clients with hearing loss. She prides herself on keeping up to date on the latest advances in technology, and independently evaluating the advertised benefits of the latest devices. Emma is a full member of Audiology Australia and has a certificate of clinical practice (ccp). Emma is also a member of Independent Audiologists Australia. Emma lives locally in Bilgola, and is pleased to be able to use her skills to improve the quality of life of members of her local Pittwater community. 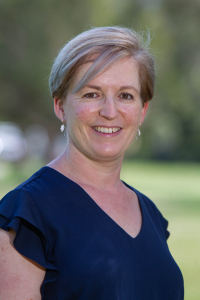 Michelle Thompson-Laing joined Pittwater Hearing in 2017 after working for many years as a Paediatric Specialist Audiologist with Australian Hearing. She has a Bachelor Degree in Speech and Hearing Sciences and a Masters in Clinical Audiology from Macquarie University. Having grown up in Avalon, she still lives locally on the Northern Beaches with her husband and three young boys. Michelle has extensive experience working with children, young adults and families as well as experience in adult diagnostic and rehabilitation audiology. 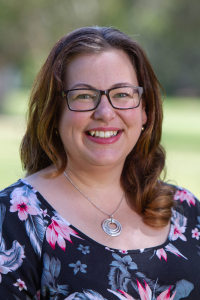 In addition to her work at Australian Hearing, Michelle has worked at Macquarie University as a lecturer on the Masters of Clinical Audiology program and within the NSW Statewide Infant Screening for Hearing Program (SWISH). Through her experience with both children and adults Michelle has gained a wide range of skills in diagnostic hearing assessment, hearing aids, communication strategies, central auditory processing disorder, counselling and community education. 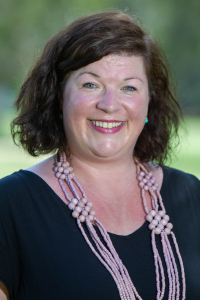 She has a strong interest in Central Auditory Processing Disorder, counselling, communication strategies and community education, and utilises a wholistic approach to hearing health for both children and adults. Michelle aims to provide the highest level of client care through evidence-based practice and a wholistic approach to hearing health for both children and adults. She works part time and is available for appointments on Tuesday’s and alternate Thursday’s. Michelle is a full member of Audiology Australia and has a certificate of clinical practice (ccp) she is also the Sponsorship, Marketing and Events Manager for Independent Audiologists Australia. As the Office Manager, Kelly takes care of client appointments, hearing aid repairs and the day to day running of the clinic. Kelly has a depth of experience as a personal assistant and office manager. She joined Pittwater Hearing in 2017 after working previously at Hearing Life for 5 years. She is very experienced in assisting clients in ensuring their hearing devices are working to their full potential. Kelly is always happy to assist our clients with her warm and friendly nature. She lives at Elanora Heights with her husband and two young children. Originally from the UK, Kelly comes from an engineering and marketing background and holds a Bachelor of Arts (Corporate Communications) from the University of the Solent.